If you would like to complete a Scuba Certification, you couldn't pick a more prime locale location than the tropical waters of the Caribbean Sea off the shores of the Yucatan. Whether you are staying in Cancun, Cozumel, Playa del Carmen, or the Mayan Riviera, we offer the scuba certification for you. With serene and transparent waters and the expansive Meso American Reef, this area has drawn scuba divers from across the globe. This reef chain is the second most extensive on the planet. An amazing spectrum of aquatic species resides in the teeming marine habitat of this region. Our expert dive instructors offer the full array of PADI scuba diving certifications, including Open Water Certification and Open Water Referral. 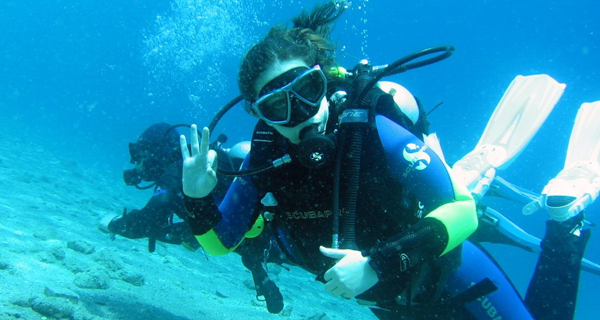 Whether you've started your certification courses online or at your local area dive shop, or would like to go through the whole certification process while on vacation with our professional scuba instructors, we have the curriculum for you. Our dive masters will begin with classroom instruction and testing, pool practice, and four open-water excursions in the Caribbean Sea on our Open Water Certification program. Our fully-customized dive boats offer clients all of the necessary amenities to enjoy a safe and comfortable dive excursion. If you have already completed your Open Water Certification, we also offer an Advanced Open Water Certification program, as well as a complete selection of specialty dive courses. If you are interested in a course that you cannot find on this website, make sure you telephone our toll-free number to consult our scuba instruction experts. Take advantage of your vacation in beautiful Cancun, Mexico to earn your PADI Open Water Diver Certification. This certification will allow you to explore the stunning waters off the shore of Cancun and at numerous other dive centers all over the world for life. If you've achieved your PADI Open Water Certification, why not continue to expand your knowledge and improve your proficiency while participating in five thrilling specialty scuba excursions in the tropical waters off Cozumel? The waters of this region of the Caribbean Sea are perfect for finishing your Advanced Certification. 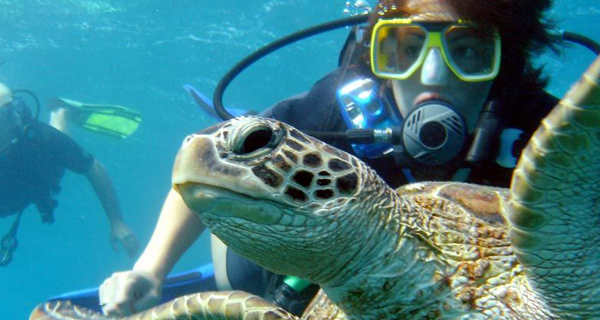 Get started studying theory with your hometown scuba teacher before arriving in Cozumel. Complete your certification with dives at the teeming coral reefs off the leeward side of this amazing Caribbean island. Why spend your vacation studying or diving in a pool? Get in the water right away. If you would like to achieve your Open Water Certification, there is no better location to learn to dive than in the splendid crystal-clear waters off the leeward shores of Cozumel. Join our expert dive instructors to dive at four different coral reef locations while learning this excellent sport. Cut down on your time in the classroom in order to optimize the amount of time spent in the waters near Cancun, Mexico, as you earn your PADI Open Water Certification through our e-Learning course. This method beats traditional courses as you get started diving immediately. Complete your PADI Open Water Scuba Diving Certification in the crystal clear waters of Cancun after beginning your study with your hometown dive instructor. This is a great way to avoid classroom and pool time while on visiting the vacation paradise of Cancun.